These 1.27mm pitch round pin plugs and sockets are used on a variety of micro receivers and motors - e.g. AR6410, PKZ3624. 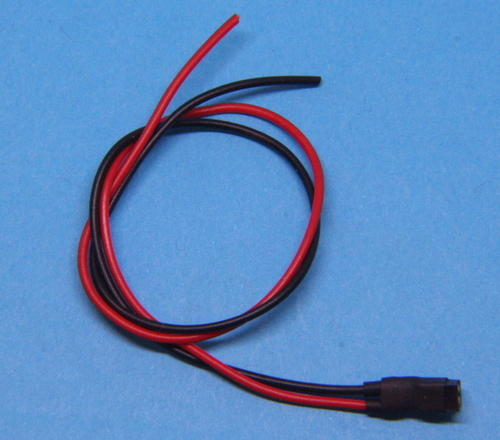 They are also extremely useful for miniature bespoke wiring in model rail, boats and vehicle. They are available in 2 pin (polarised and non-polarised) and 3 pin (non-polarised) versions. Once connected, they make a reliable joint with sufficient retention force to prevent inadvertent disconnection. They should not, however, be used for battery connect/disconnect joints due to the possibility of shorting adjacent pins when making connections; the Molex 2mm connector is a better choice for a robust yet small battery connection. 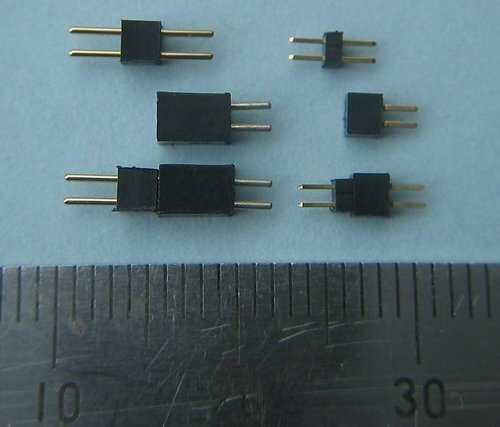 1.27mm (0.05") pin space plugs and sockets, compatible with the AR6400/Vapor receiver motor socket and the sockets as used on the connector versions of DT Rx5x receivers (also Plantraco actuator receivers). Each plug or socket weighs 0.105gm. Available in packs of 5 plugs or 5 sockets, each with heatshrink. 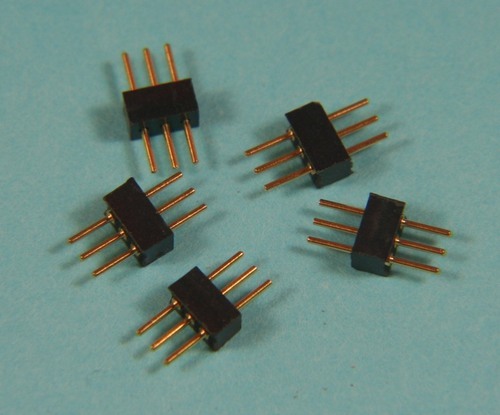 Five mating pairs of microweight 1.27mm pitch polarised 2-pin power connectors useful for battery to ESC (or receiver) wiring. Max current: 1A, weight: 0.15gm per pair. The pack includes 5 pairs of connectors and heatshrink tube. 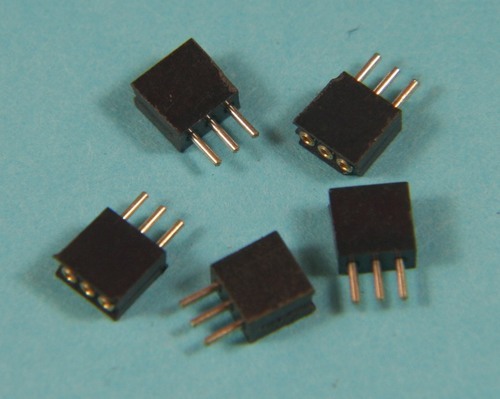 3 pin 1.27mm (0.05") space plugs and sockets, compatible with the AR6400 ESC socket. The plugs can be used to make up external ESC leads. Each plug or socket weighs 0.105gm. Available in packs of 5 plugs or 5 sockets, each with heatshrink. A 2 pin 1.27mm space connector and flexible lead to fit the brushed motor socket on Spektrum's AR6400 or Vapor receiver module. A 2 pin 1.27mm space socket and flexible lead to mate with the plug used on many micro model motors - e.g. Parkzone PKZ3624. 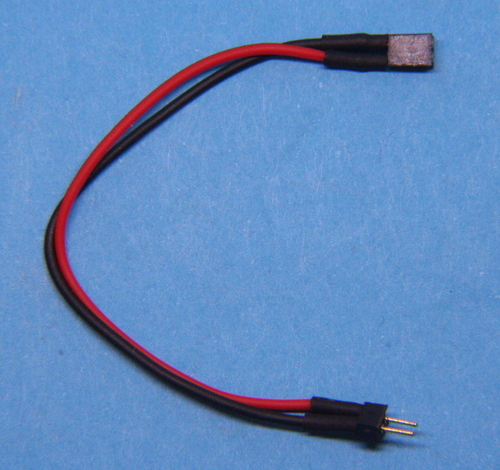 Use it to make an extension lead or to use the motor on a receiver/ESC that does not have the socket. 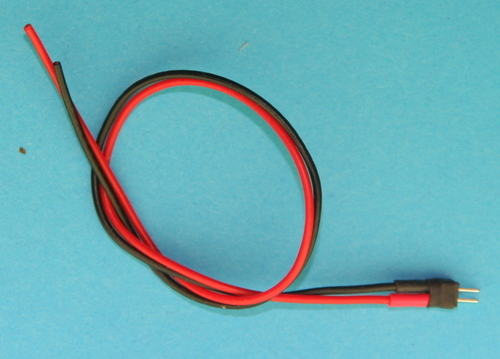 An extension lead for motors using 2 pin 1.27mm space connectors - e.g. Parkzone PKZ3624. 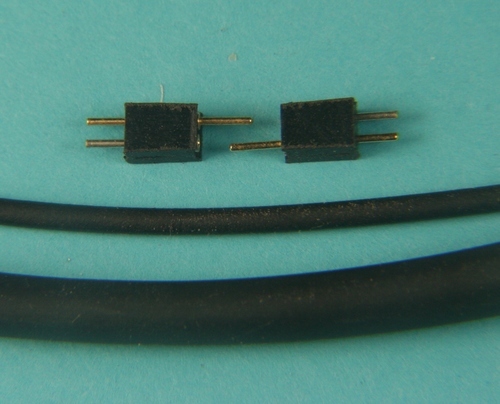 A 2 pin 1.27mm spacing polarised connector pair and 100mm flexible leads. Ideal for tender or trailing van to loco connection on N, OO, 009 or Gn15. Both leads are black to aid with blending in to the vehicle.